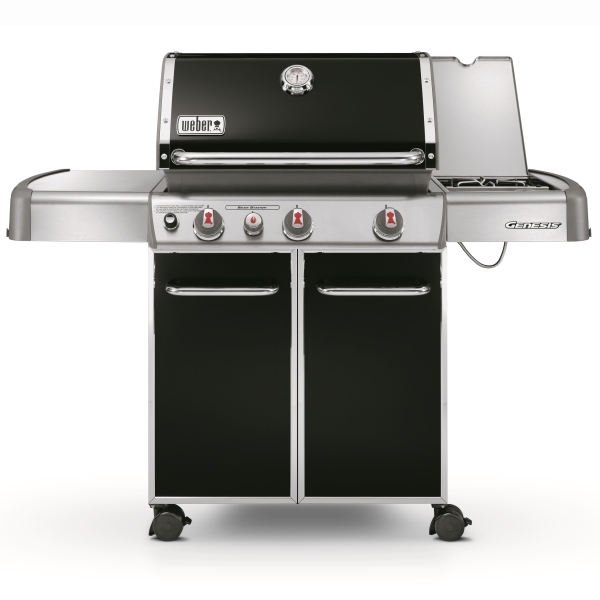 *SPECIALIST ONLY MODEL, AVAILABLE INSTORE OR BY PHONE ORDER ONLY SORRY from our Smart Marine Weber Specialist branches - Glenfield, Mt Wellington & Hamilton stores only*. 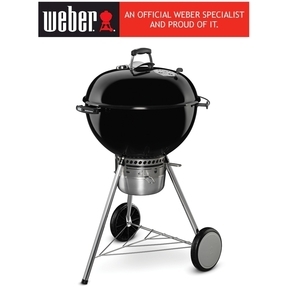 Manukau store features the extensive standard Weber range, excluding the Specialist Models. 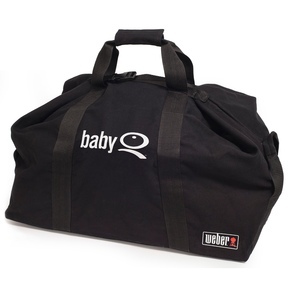 Call the crew today 0800 80 50 40 for details or to order by phone. 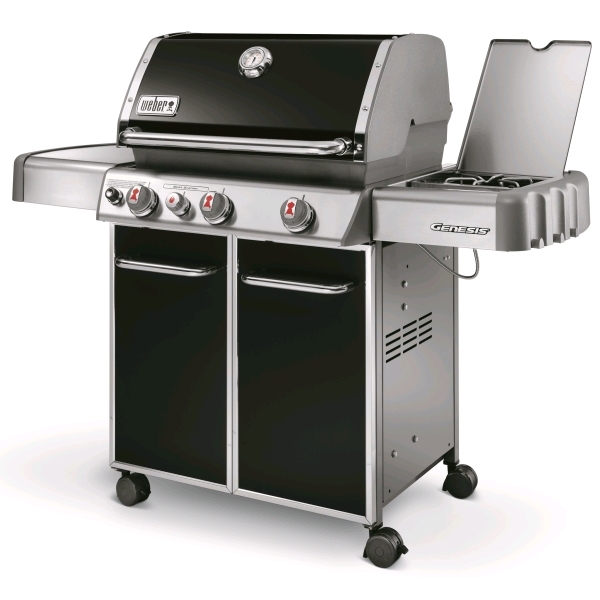 A large three burner barbecue with side burner and sear station. 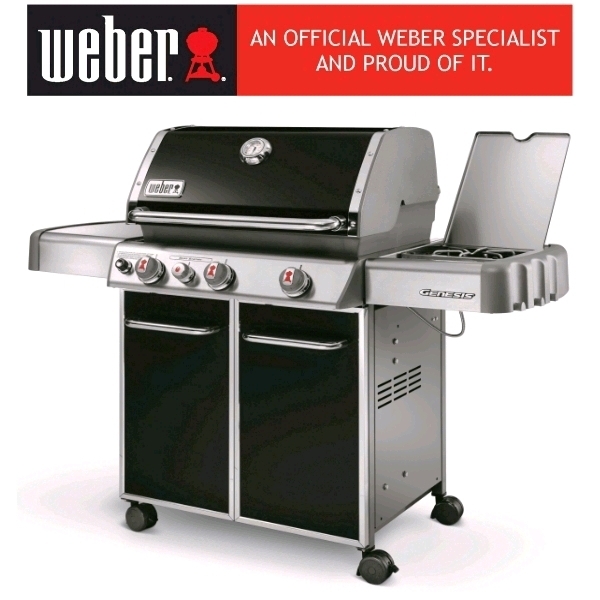 Weber Australia: " When we were developing the new Genesis gas barbecues at our factory, a bloke in marketing nick-named it ‘the barbecue in tails'. 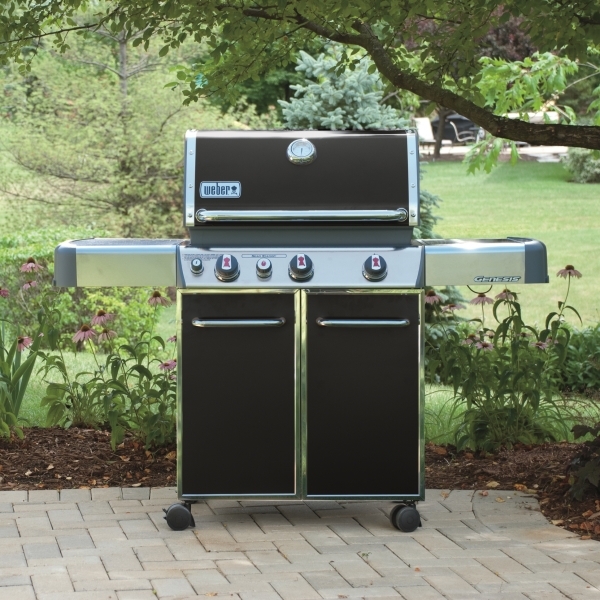 We reckon he had it pretty right, because at Weber, we've never made a classier looking barbecue than this. And when R & D came up with the idea to use stainless steel studs in the construction of the barbecue we thought they were crazy. How wrong can you be? Amongst our staff at Weber Australia these Genesis barbecues are undoubtably the favourite. And it's not the stainless steel studs. It's the cooking. Yes it's the cooking that's won us all over. And it's the cooking that makes this barbecue a real stand-out. It's just a magic cooker!" 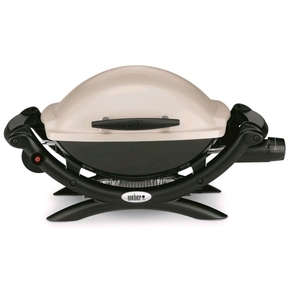 This barbecue is the real thing for entertaining ‘bigtime'. 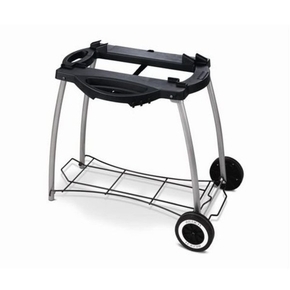 It's the right size barbecue and it's full of style and class. 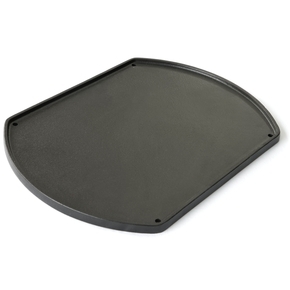 Available in gleaming black porcelain enamel with stainless steel trim. 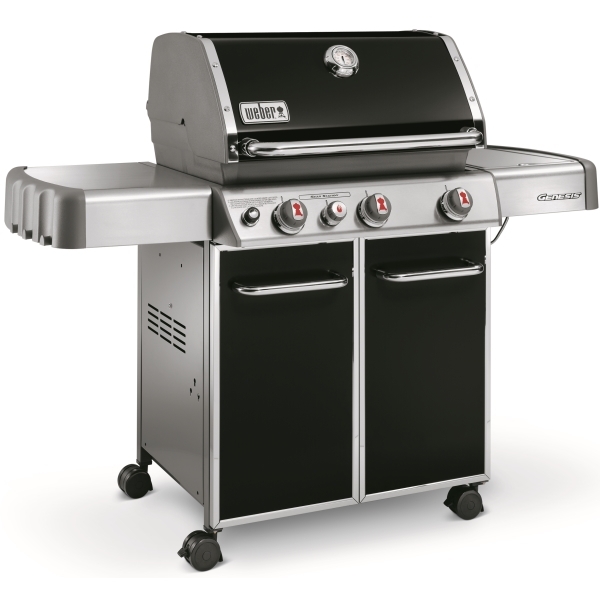 3 burners, each rated at 14,000 BTUs. 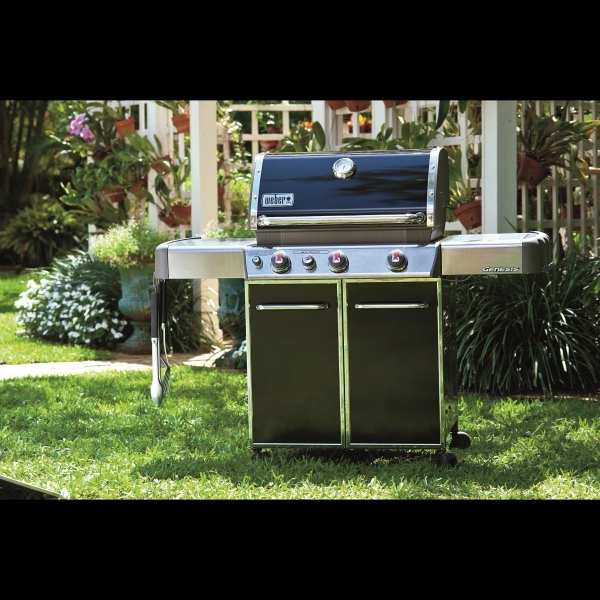 2 Porcelain enamelled cast iron cooking grills and porcelain enamelled Flavorizer™ Bars. 4 caster wheels (2 locking). Cooks for up to 15 people. 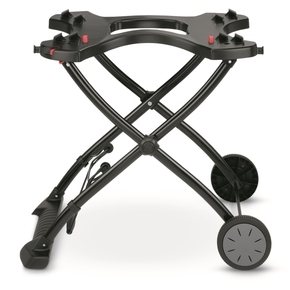 Dedicated sear burner rated at 10,000 BTUs. 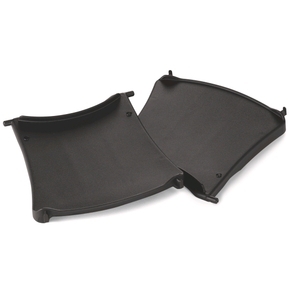 Side burner rated at 12,000 BTUs. 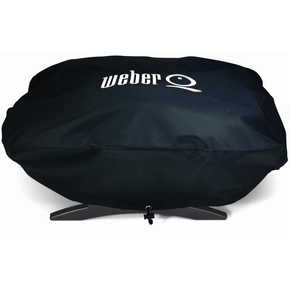 Weber New Zealand's Limited 10 year warranty.